Microsoft president of the interactive entertainment business Don Mattrick took the stage at Microsoft's Xbox reveal this morning to introduce the new console, dubbed "Xbox One." He promised that the current generation of gaming isn't over, though, and that more Xbox 360 news and games will be revealed at E3 in June when Microsoft discusses the future of the existing console. Game consoles traditionally live on for some time once their successors are released, but for how long can be dependent on a number of factors. 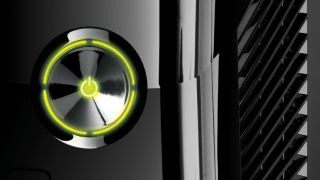 It sounds like Microsoft has plenty of plans to support the Xbox 360 even in light of the Xbox One being revealed, though, so the 360 could potentially live on for some time. The Electronic Entertainment Expo is gaming's biggest annual convention. Microsoft will hold a keynote press conference early in the convention, revealing more about the Xbox One and, we learned today, the future of the Xbox 360. The current console was only mentioned in passing during today's Xbox One reveal, but expect more on the Xbox 360 as E3 approaches in June.